S’more Camp 2019 will take place on Saturday July 20, 2019 from 130pm-730pm. 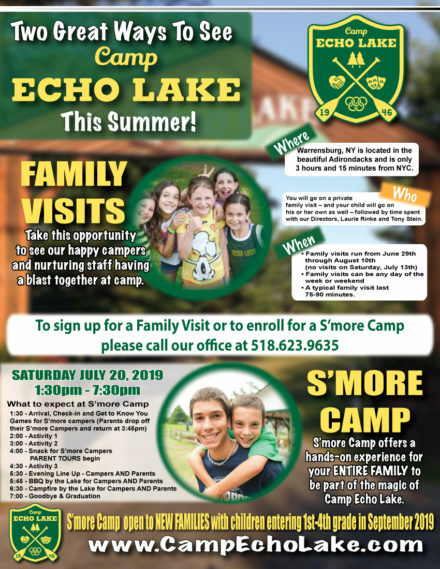 We are happy to talk to you more about S’more Camp and / or schedule your family for a personal tour of Camp Echo Lake. Feel free to call our office at 518-623-9635 for more information.